Thanks to my driving instructor I can now look forward to a future of safe driving. Not only did he teach me how to drive to pass my test, but helped to drive in way that will stay with me for future driving. 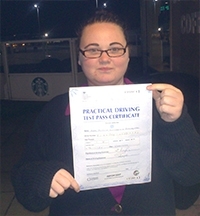 I did both lessons and pass plus and I found both courses very varied and time worthy. 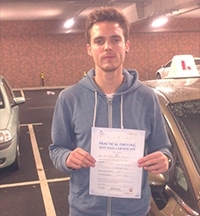 Thanks Jonathan, I really appreciate you helping me to pass my test first time, thanks for being patient!! 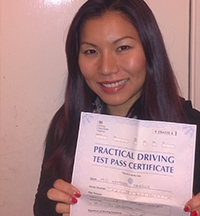 I'm writing to thank you for my driving lessons which got me through my British driving test the first time. I really enjoyed my learning experience, you taught me thoroughly to prepare me not just for the test, but beyond. Let me learn at my pace, patient but made sure I knew the rules. I thoroughly enjoyed my time learning to drive with Jonathan, he was a very good teacher, value for money and most importantly a nice guy. 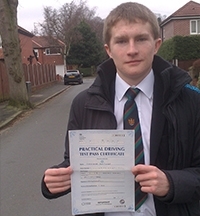 He helped me pass my theory and practical tests first time which was brilliant. I would highly recommend Jon as a driving Instructor, he was patient and explained things in detail, helping me understand what I was doing before I actually went to do it, which helped me to achieve a pass first time on my driving test! I had a previous instructor on a very cheap deal, but learnt very little, I understand why now and would encourage anyone to spend proper money for quality tuition. Happy and over the moon with everything which I have Jon to thank for! 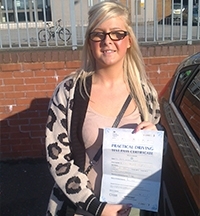 Having taught my sister to pass 1st time in 2012, I knew I would be in good hands with Jon as my instructor. He was very thorough in explaining each aspect of driving, in an organised, step by step way which allowed me to progress well. I would highly recommend Jon to anyone looking for quality, fairly priced tuition.